Yen Tu is a pagoda complex that comprises 11 pagodas and several accommodated structures (including hundreds of shrines and towers). This place used to be the center of Buddhism of Dai Viet (“Great Viet”, the former name of Vietnam under Ly Dynasty in 11th century). 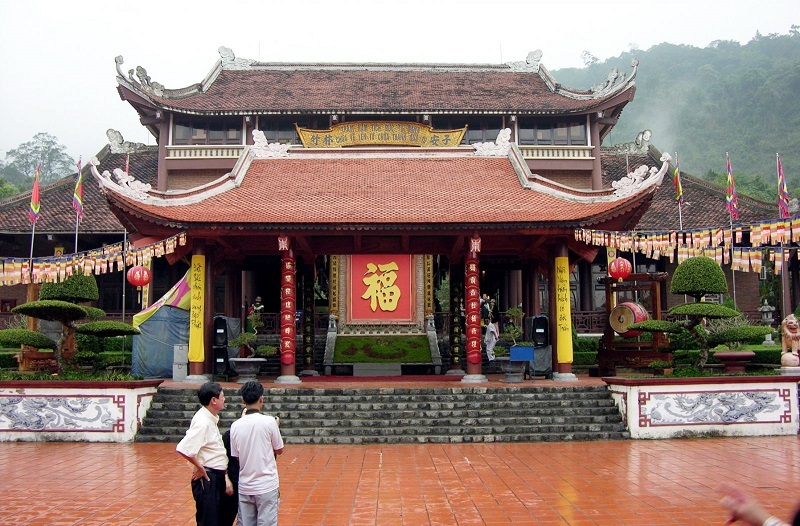 This is also the place that originated the Buddhist sect of Truc Lam. At the highest place is Dong Pagoda (nearly 1.100 meters above the sea level). Yearly, thousands of visitors come to Yen Tu after Lunar New Year Festival to pray for lucks and health to themselves and their family in the New Year. They believe that if they can climb to the top of Yen Tu Mountain (Dong Pagoda), they will receive more good things in that year. Along the road to the peak, there is a airy and holy atmosphere of pagoda, stream and forest.